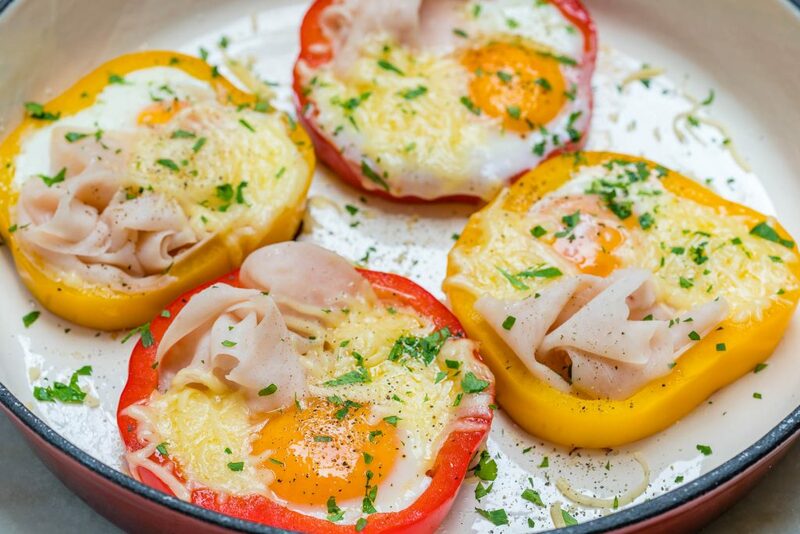 Ham + Egg + Pepper Rings: a Perfectly Clean Breakfast! My kids are having SO much FUN making these! I let each child choose their own favorite topping combinations, and you know what!? Cut the tops from your peppers and remove the seeds. Slice peppers into 4 1/2 inch rings. Preheat a skillet over medium-high heat and lightly spray it with cooking oil. 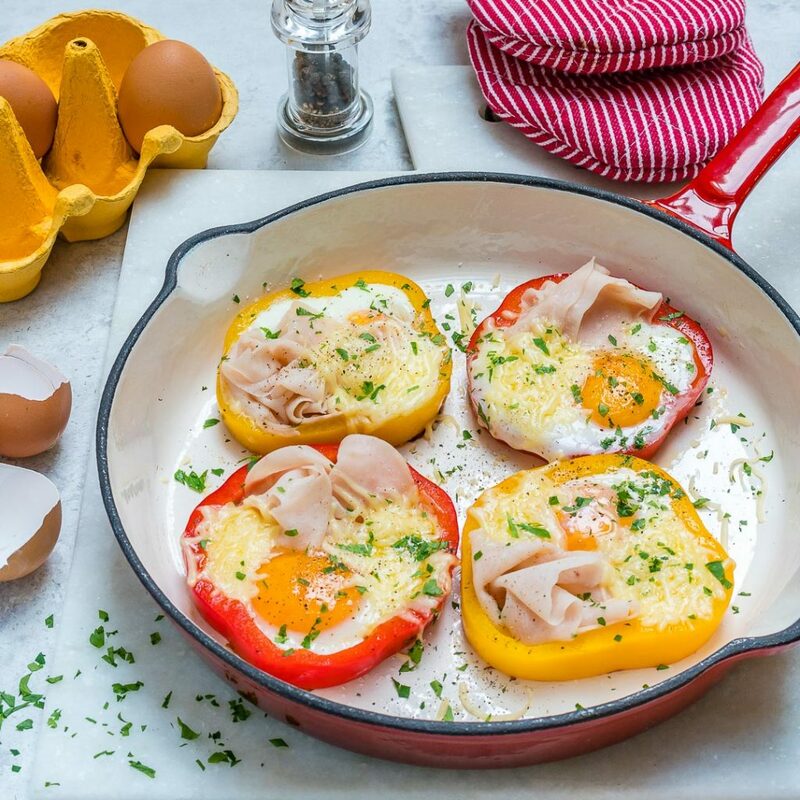 Place pepper rings in the skillet, then once the oil starts to sizzle crack one egg very gently into each ring. 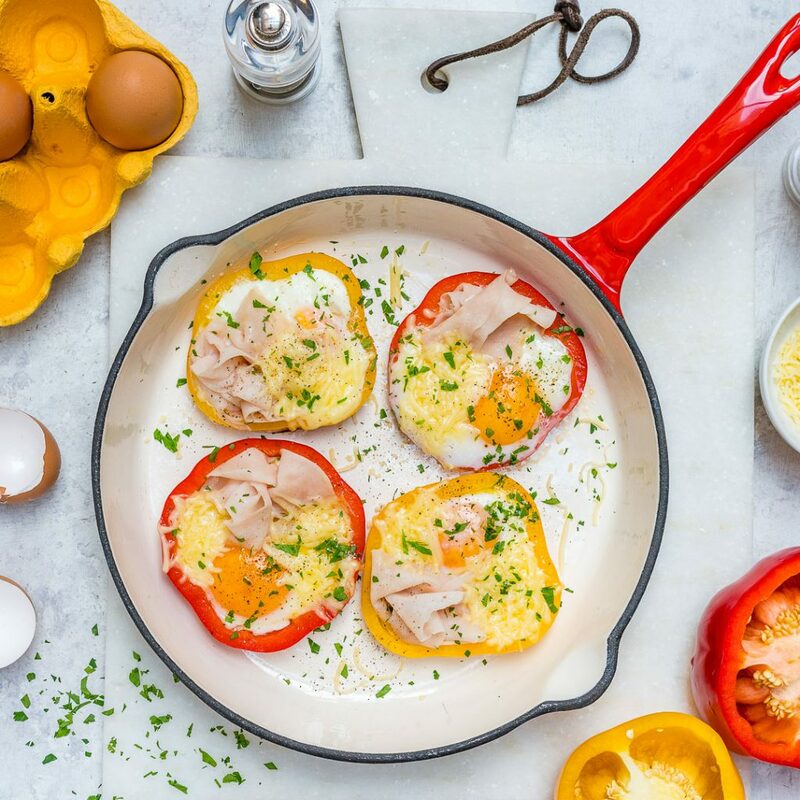 Season to your taste then carefully add 1 slice of turkey around the yolk of each ring. 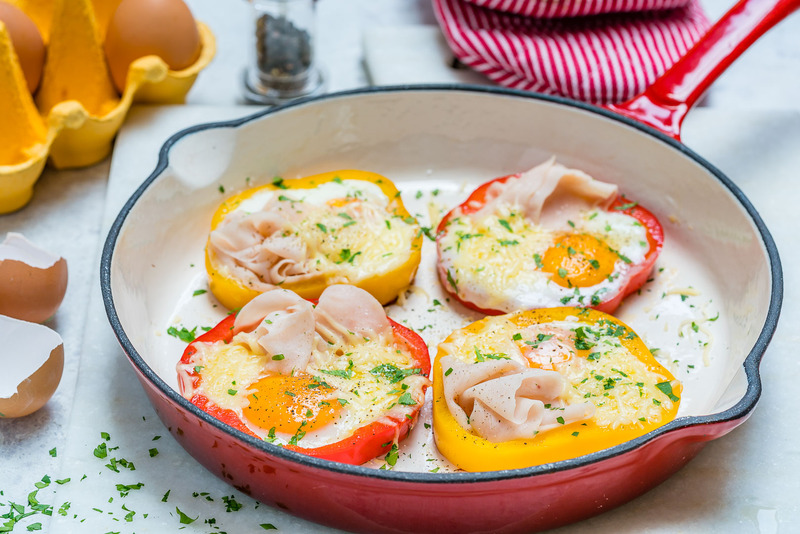 Sprinkle with cheese and cook the eggs to desired doneness – maybe 3-4 minutes, sometimes I place a lid on top for a few minutes until the yolk is how I like it. 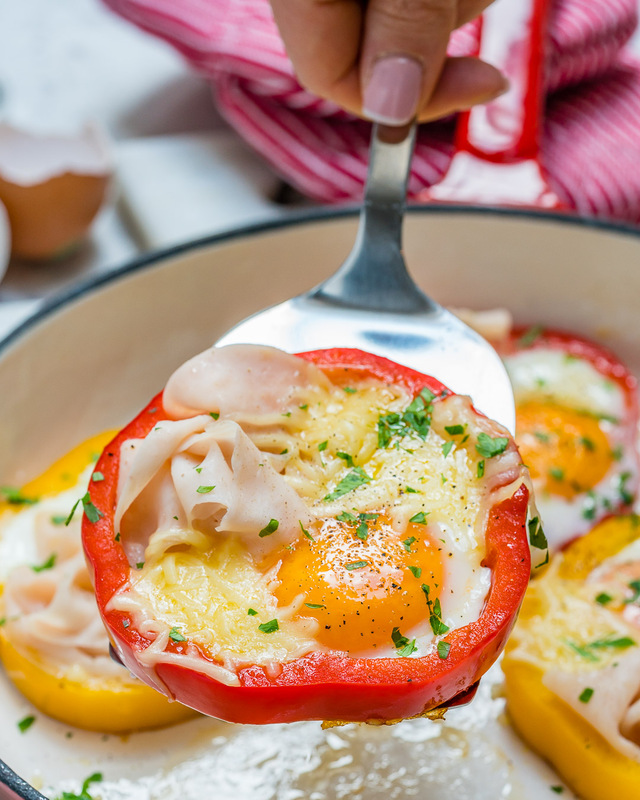 Sprinkle with cheese and cook the eggs to desired doneness - maybe 3-4 minutes, sometimes I place a lid on top for a few minutes until the yolk is how I like it.